Resuscitation Rangers is a volunteer program offered by Lovelace Health System which includes Heart Hospital of New Mexico at Lovelace Medical Center, the only hospital in the state dedicated entirely to cardiovascular care. 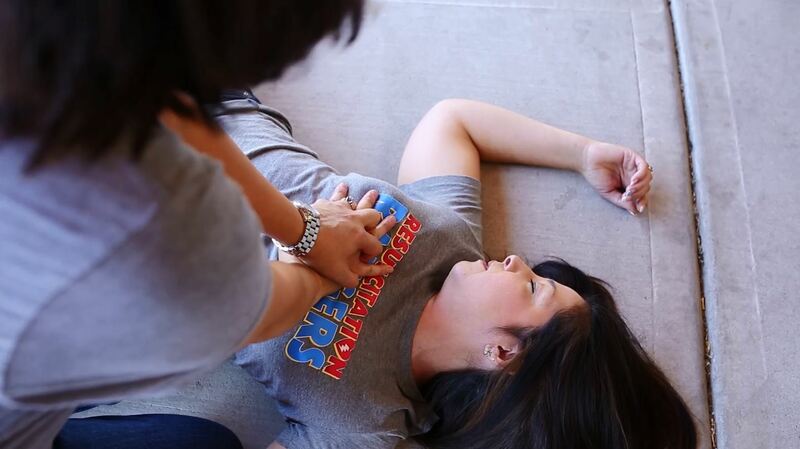 Our mission is to improve outcomes for heart attack and cardiac arrest victims by helping to educate the community on recognizing the signs and symptoms of heart attacks and cardiac arrest, teaching the hands-only CPR method and using an automated external defibrillator (AED). Training is important because treatment of cardiac arrest is a race against the clock. Tragically, approximately 90% of out of hospital cardiac arrest victims dies. Immediate cardiopulmonary resuscitation (CPR) and early defibrillation, with an automated external defibrillator (AED), can more than double a victim’s chance of survival. Would you know what to do? Watch to find out two simple steps to saving a life.